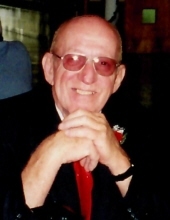 Wayne Kepplin, 78, of Rolling Prairie, passed away peacefully, Thursday, February 7, 2019 8:20 a.m., at his home. He was born July 30, 1940 in Michigan City, Indiana. Wayne was a lifetime member of the VFW Post #9423 in Rolling Prairie. He enjoyed hunting and fishing. He loved spending time with his children and grandchildren. Surviving are his wife, Cindy Kepplin; two children, Dwayne (Ronda) Kepplin of LaPorte and Michael Kepplin of Rolling Prairie; four grandchildren, Kylie, Grady, Colleen, and Levi. Preceding in death were his parents. Burial will be held at a later date. Lakeview Funeral Home and Crematory 247 W. Johnson Road La Porte (219) 362-3100 is caring for arrangements. Memorial Contributions can be directed to the family. To send flowers or a remembrance gift to the family of Wayne Kepplin, please visit our Tribute Store. "Email Address" would like to share the life celebration of Wayne Kepplin. Click on the "link" to go to share a favorite memory or leave a condolence message for the family.